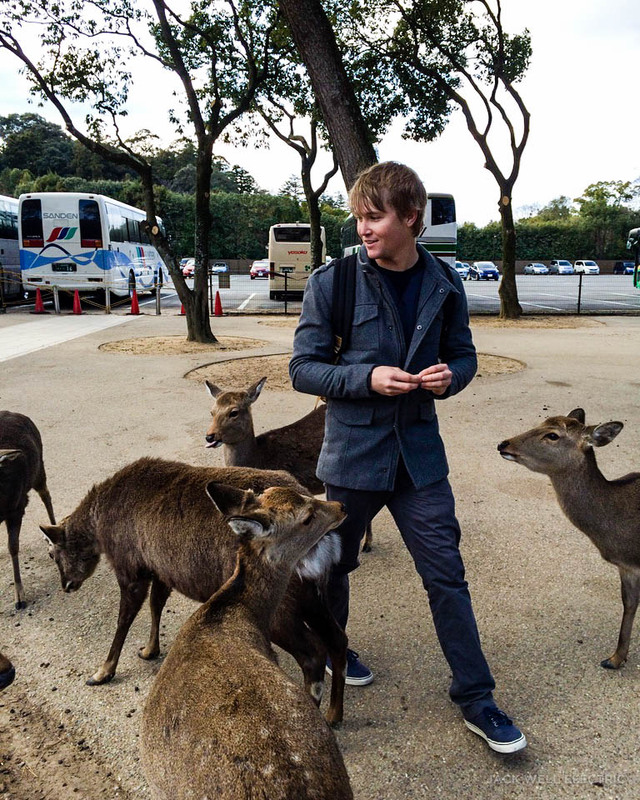 Liam and I decided to give the big city a break for the day to visit Nara, one of the most historic sites in all of Japan. 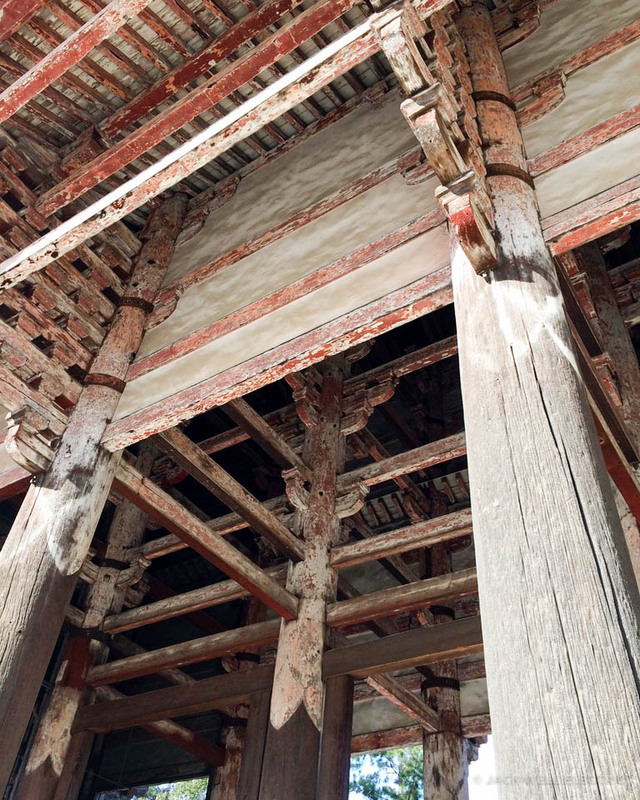 As Japan’s first permanent capital city, Nara is full of amazing ancient temples and rich history. Nara is beautiful, relaxing and accessible by a quick 40 minute train ride from Ōsaka. 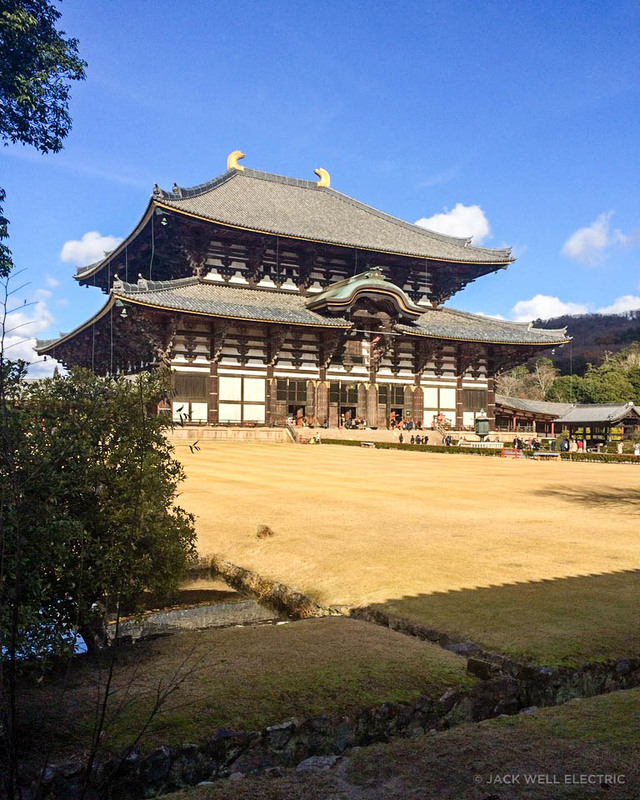 The main point of interest in Nara is the famous Todai-ji Buddhist temple located in the Northern end of Nara Park. We decided to catch a bus from JR Nara station halfway to the temple. You can catch a bus the whole way, but I recommend walking at least part of the way so you can experience the lovely grounds and wildlife. If you’d prefer to walk the whole way, it’ll take about 45 minutes. This is one big temple! 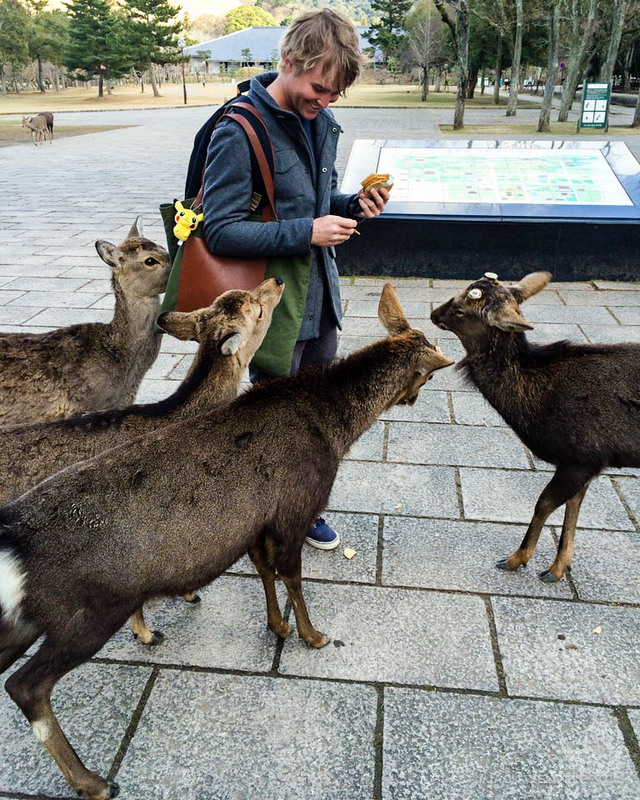 Before you get to Todai-ji, you’ll meet a lot of deer! 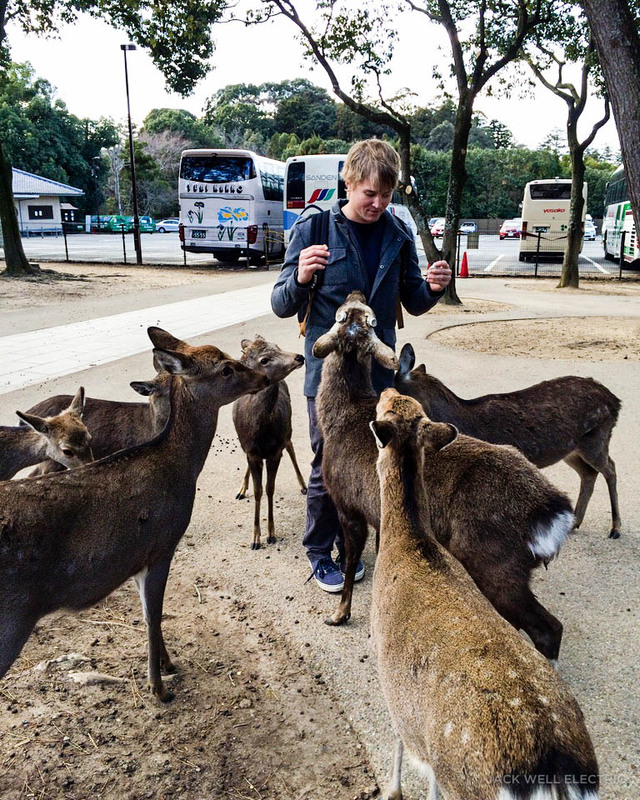 A lot of pushy deer! 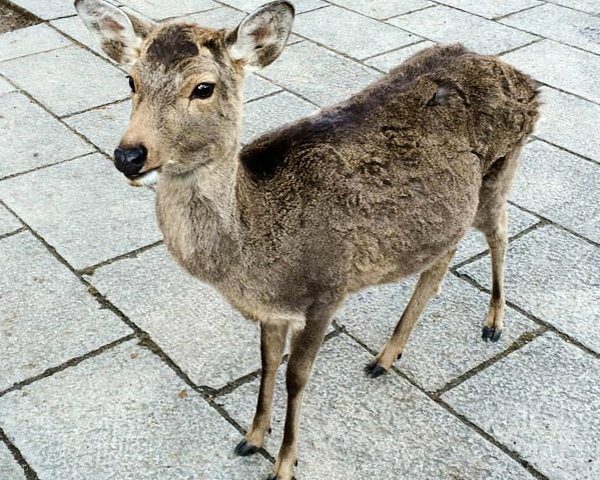 I can’t even remember the amount of times I got head butted by them trying to find food in my bag, which you can purchase for about ¥100 anywhere in Nara Park. Liam took over the feeding duties and got absolutely mobbed! But remember even though these deer are familiar with humans, they are still wild animals so please exercise caution, especially with young children. Liam making lots of new friends lol. 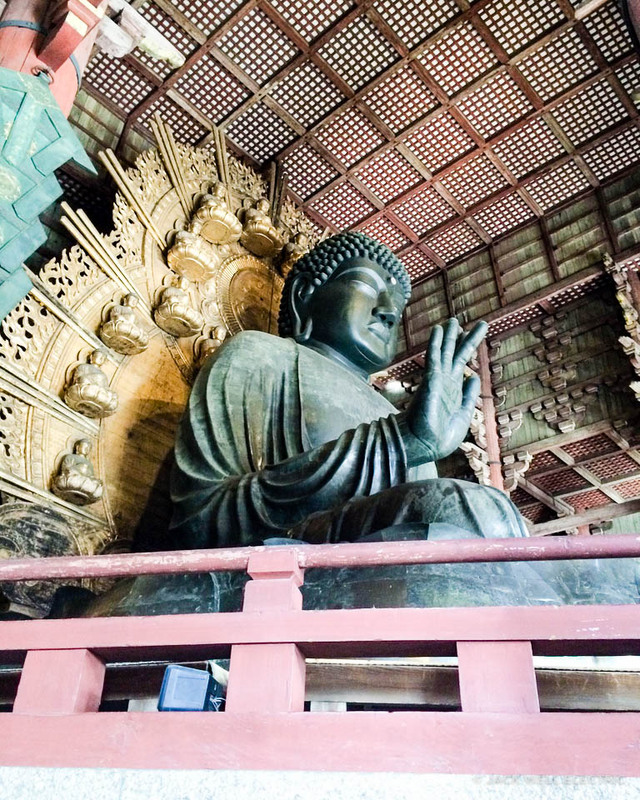 Todai-ji is the world’s largest wooden building and home to one of Japan’s largest bronze Buddha statues. The Buddha sits 15 meters tall and is definitely an impressive sight. The whole hall itself is very peaceful and a lovely area to just relax and take a step back from busy life. 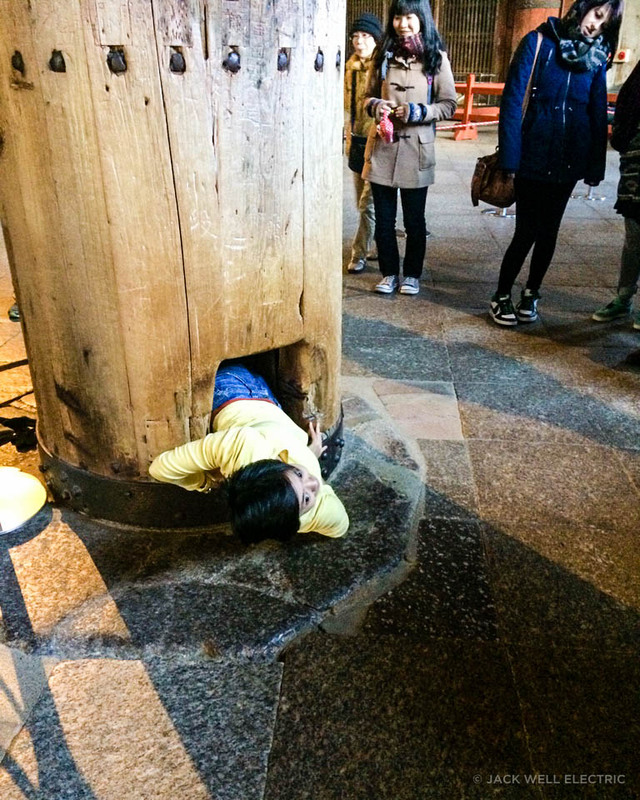 Also located within the hall is a pillar with a hole in it that is roughly the same size as the Buddha’s nostril. People line up for ages to try and squeeze themselves through the hole to achieve enlightenment. We didn’t give it a go, but it was pretty funny watching people trying to wiggle their way through the pillar. 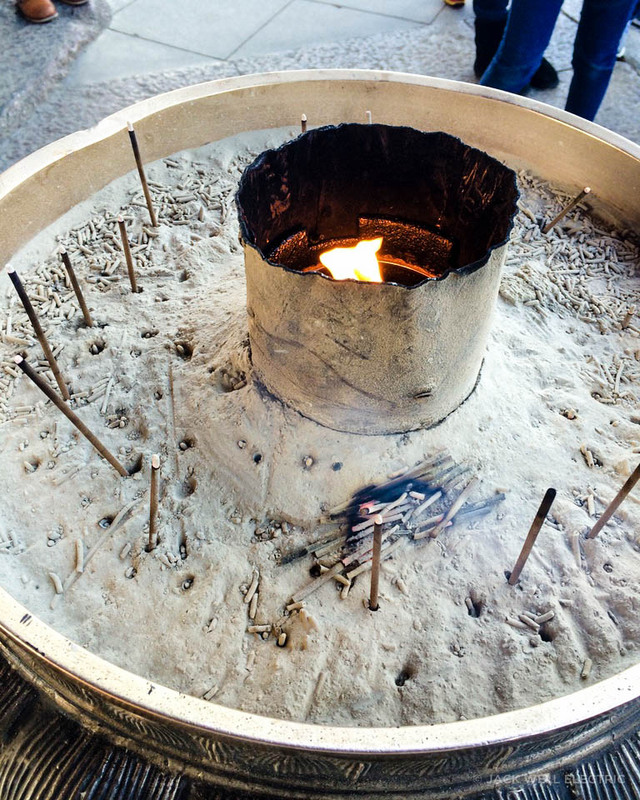 Giant incense trays outside the temple. 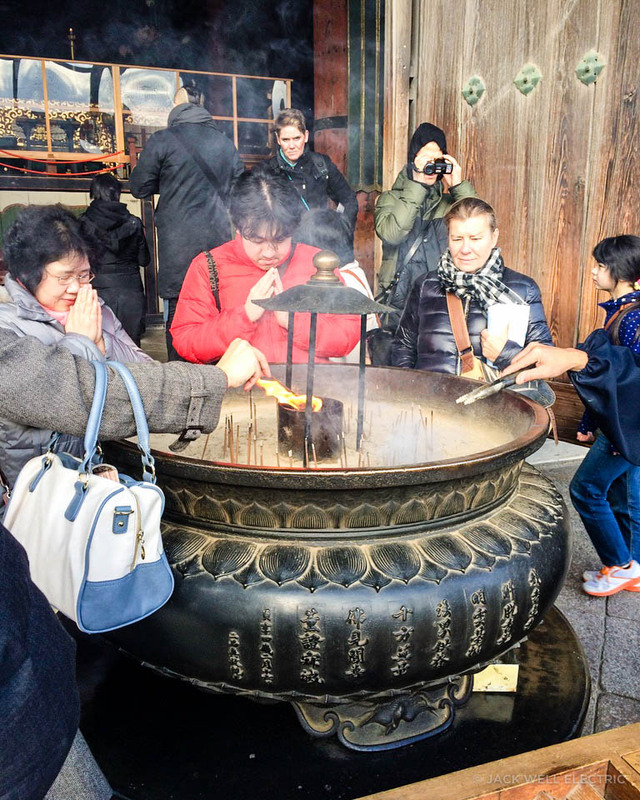 There are heaps of other temples to visit within the grounds as well as shrines, gardens, walking paths and a museum. From JR Ōsaka take the Yamatoji Line bound for Nara and get off at JR Nara. 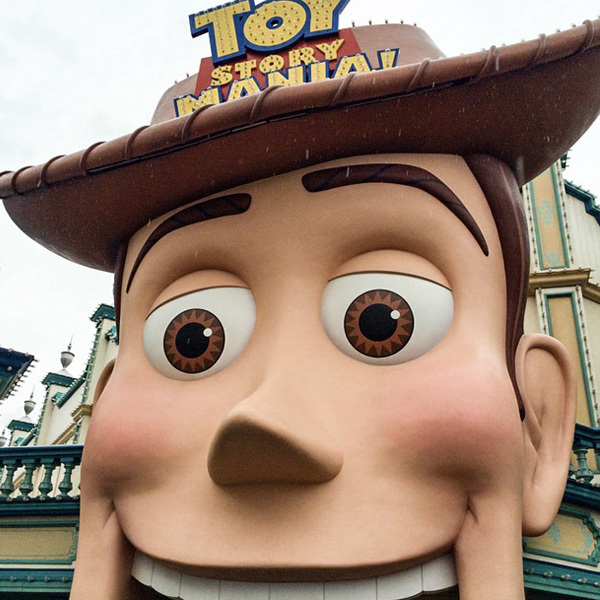 Walk or catch a bus from the station to Nara Park.